Boyfie and I just love to visit amusement and theme parks whenever we go. 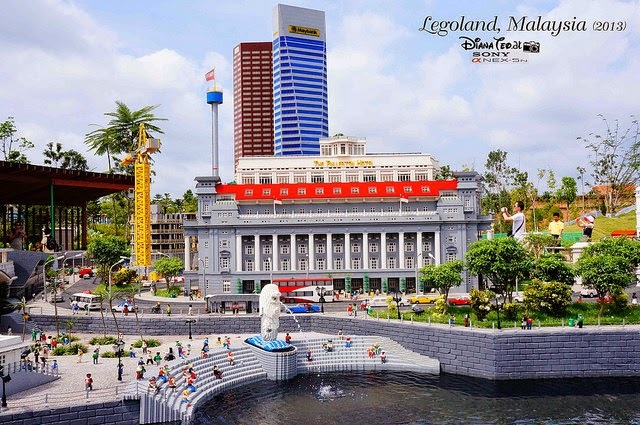 Just like Universal Studio in Singapore as well as Ocean Park and Disneyland in Hong Kong few years back. 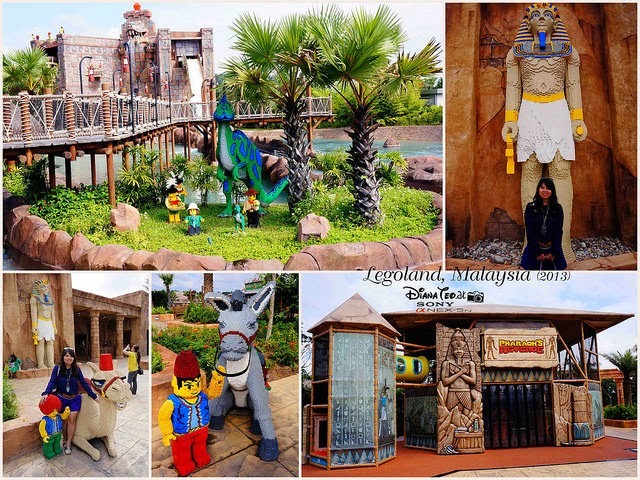 So when we knew about Legoland opened in Johor, both of us instantly listed this international theme park as one of our wishlist to go. Lucky us where we managed to secure a return ticket KK-JB-KK via AirAsia for only RM15 each, when initially both of our budget was RM50 each. So without any second thought, immediately we booked and here we are at one of the latest attraction in town. And with this, this is my official first trip for year 2013. 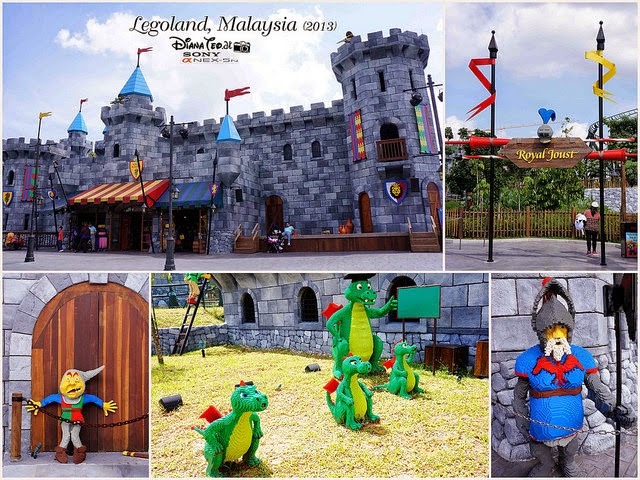 Just like every other theme parks, Legoland Malaysia has seven distinctive themed area of attractions to cater all ages, whether for the kids, teenagers and even adults who are young at heart. This is where the adventures begin. Right after passed through the main entrance area, this is where typical amenities located - locker rental, stroller rental and ATM machine are available on the right-side whereas the restroom is located on the left-side. There are also a cafe and souvenirs stores available here but both of us intended to save it first and return back by end of the day. There is no any attractions, shows and rides in this themed area. #3: Ticket counters. I would recommend to purchase the tickets via online to save up to 20% and also to avoid the long queue. 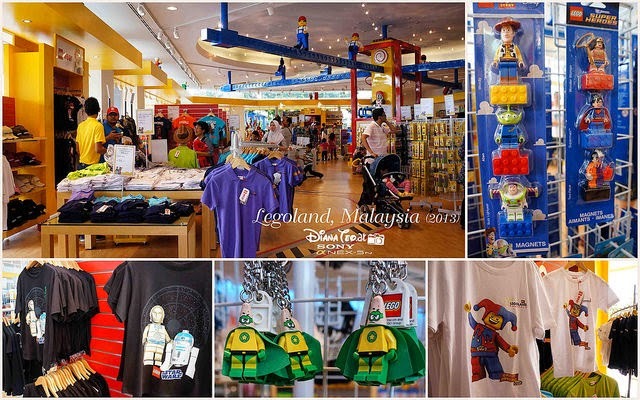 #4: Big Shop - Legoland's largest store selling all kind of Legoland merchandise. 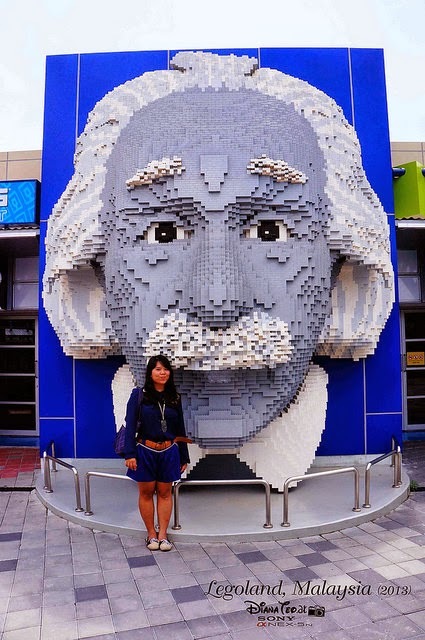 .#5: All of these life-size characters were made from Lego bricks. Impressive! We started with this area first before it was getting more crowded. 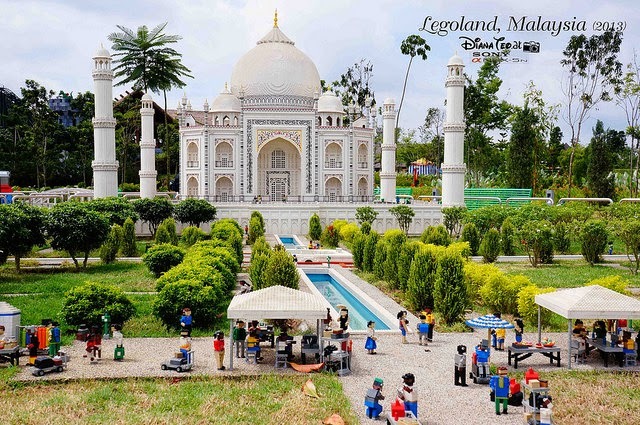 Most of the attractions and rides here are designed specially for kids. 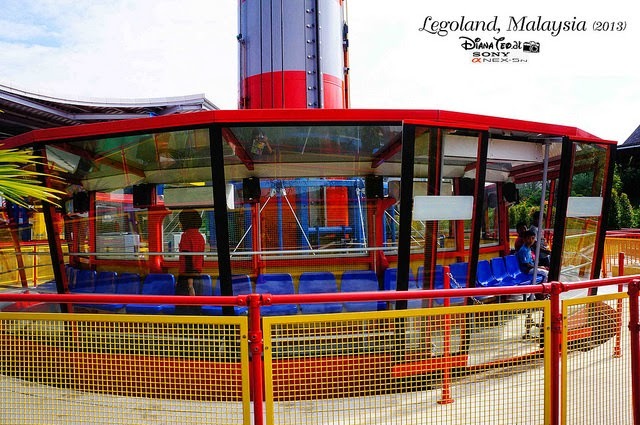 However, there are two rides which attract us here - Observation Tower and Lego Studios 4D. #8: Studios 4D. 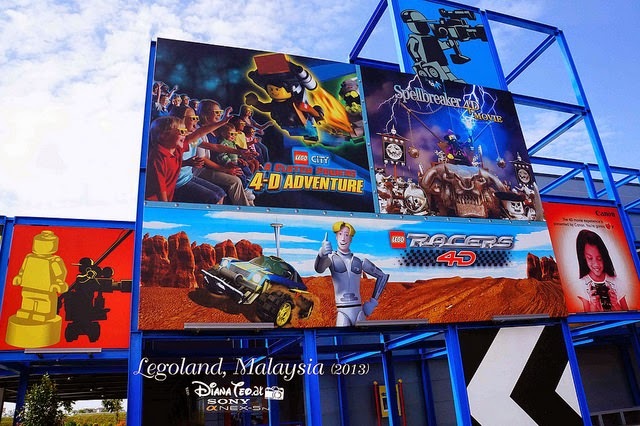 There are four appealing 4D shows for the guests to choose from and each show runs every 45 minutes (for weekday) and 25 minutes (for weekends and public holidays). Boyfie and I managed to catch two of their 4D shows but frankly speaking, they ain't interesting as those 4D in Universal Studio Singapore and Hong Kong Disneyland. Quite disappointed. 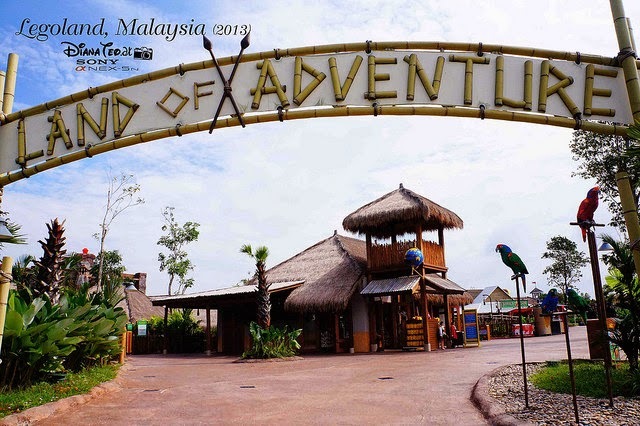 This particular themed land reminisces the combination of Jurassic Park and The Mummy movie series where both are separate into two different section. The attractions and rides here are designed for both kids and adults especially the Dino Land ride. 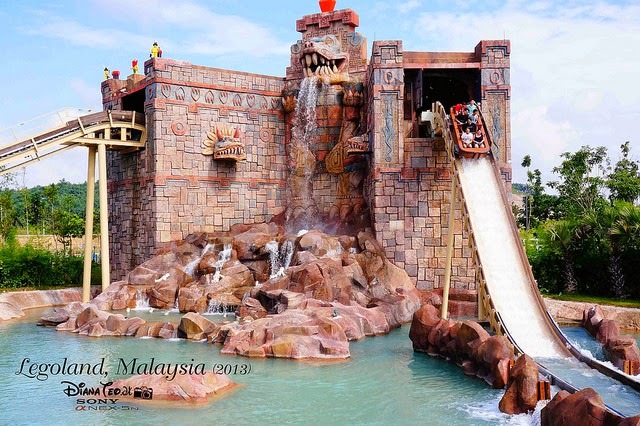 Unfortunately, we didn't experience this ride cause we afraid of getting wet as we didn't bring any spare of clothes. #10: Land of Adventures Themed Area. The parrots on the right side were made from Lego bricks as well. #11: Dino Island ride and prepare to get wet by the end of the ride. 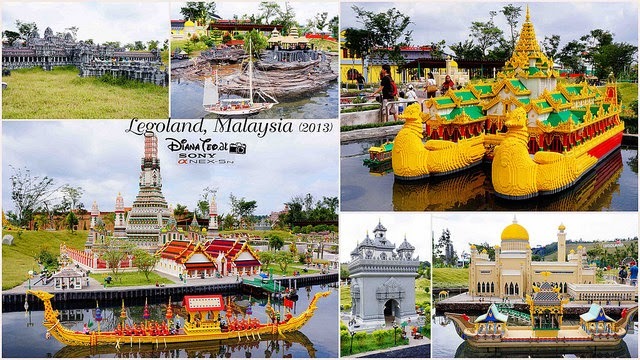 Situated right in the heart of Legoland, this is where the guests can enjoy some of Asia's notable and well-known landmarks in masterpiece and detailed miniature. This is my most favourite themed area compare the rest and we were also being surprised when the whole Miniland comes to life with the touch of a button. Pretty interesting, right? #15: Can you name all of these South East Asia's landmarks? 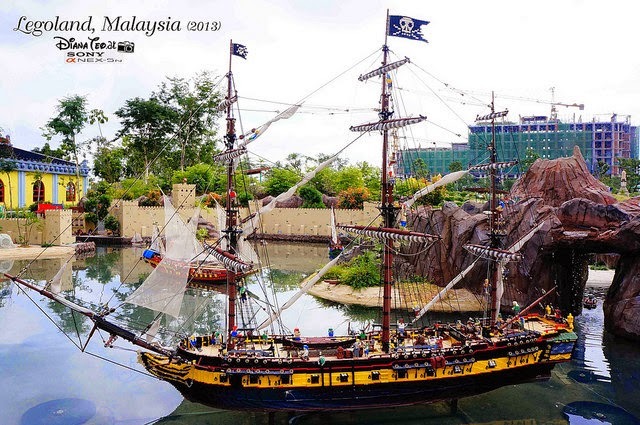 #16: Pirates of the Caribbean boat? 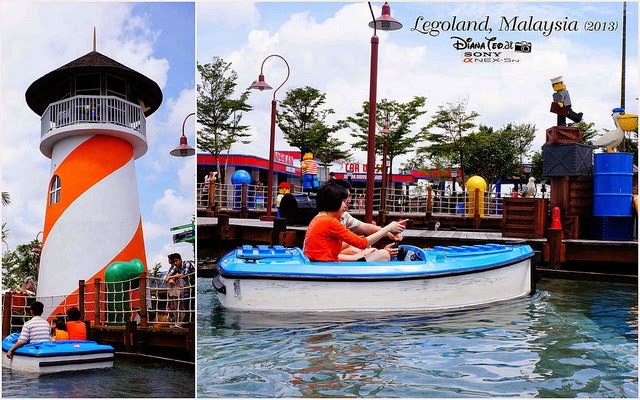 Lego City is mainly designed for the little one where they can become a captain of a boat or even drive a car at the very young age. Like really? 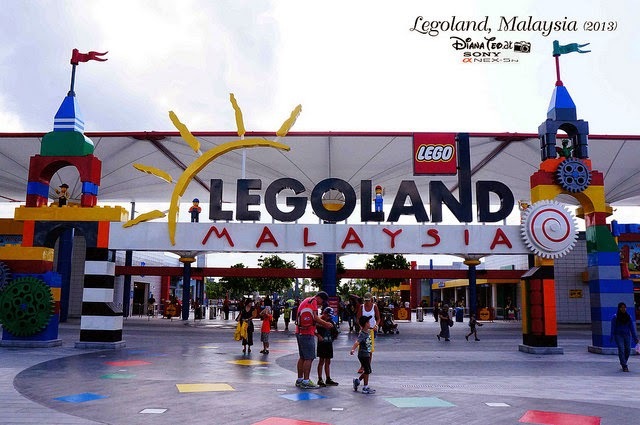 Passing through this area and Boyfie told me how he wish that Legoland open during his young age so he will able to enjoy this ride. 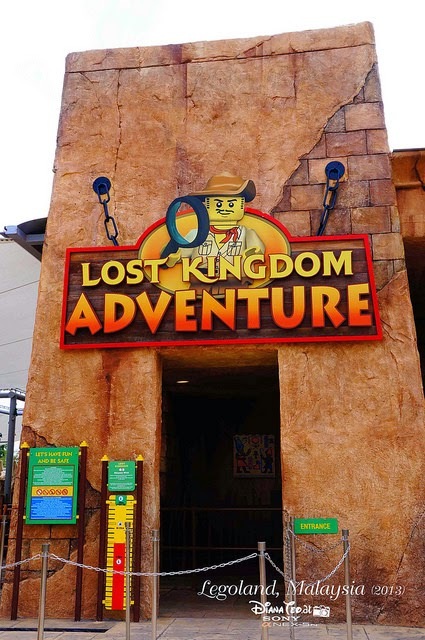 So if you have the little one with you, now you know which themed area you should head first. #19: Remove Control Boat - where adults can play along. Of course, we didn't miss out this for sure. 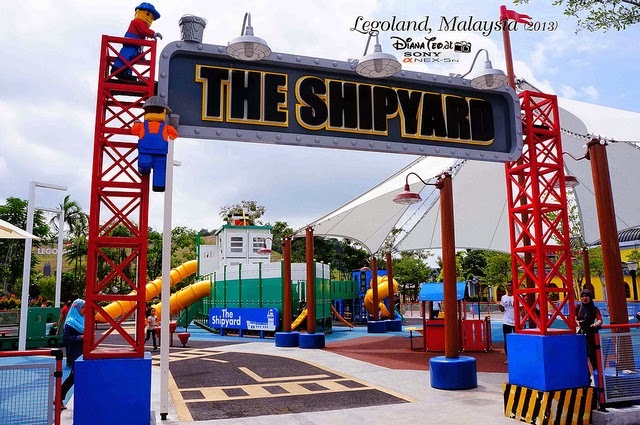 #20: The Shipyard - An adventure paradise for the little one to climb and crawl. #22: We took a break and ordered lunch in Market Restaurant. 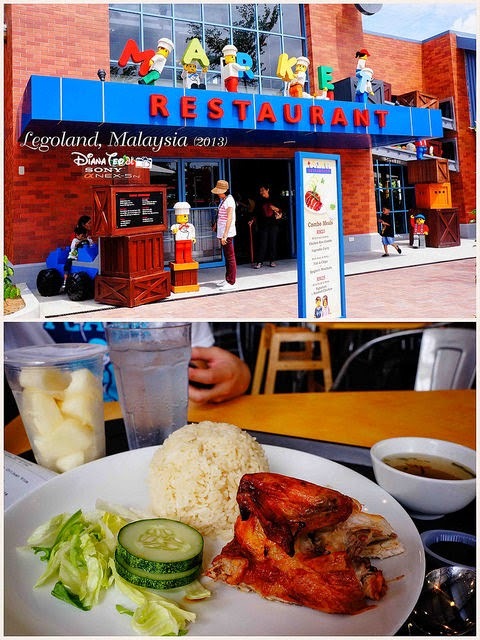 A set of chicken rice cost RM23.00 and a small bottle of Coke cost RM5.00 - No doubt the price of the foods in Legoland are slightly expensive cause this is theme park afterall. 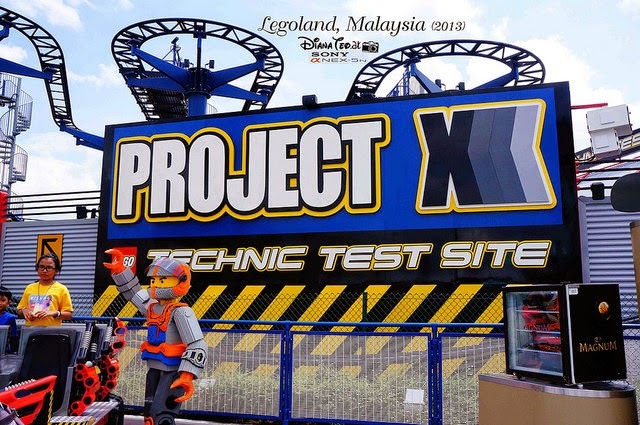 If you are looking for exciting and thrilling rides, this is one of the themed area that offer all; from wild high-speed ride in Project X, crazy spin wheel in Technic Twister or even get wet in Aquazone Wave Racers. #23: Project X. The one and only ride we experienced here and we indeed love this. It's one of the rides not-to-be-missed. This is where the legend and myths come alive. I personally love the design and structure of this particular themed area especially the looking strong and tall grey colour royal castle. 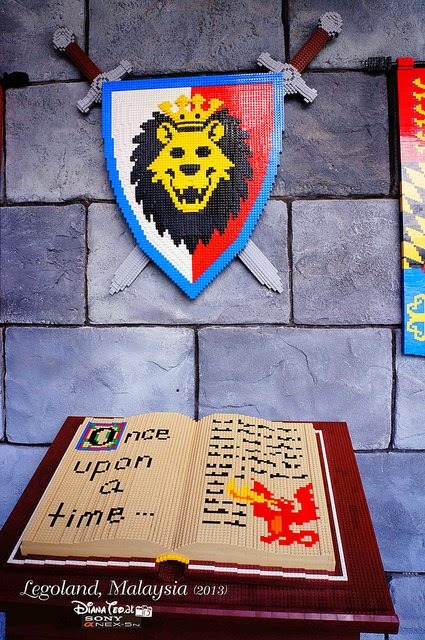 This is also where the whole themed area are filled with dragons and knights which mainly built using Lego bricks. The main highlights here would be The Dragon and Dragon's Apprentice rides (these two are two different rides apparently). #27: Royal castle, dragons, knight and is that Joker? Grab a guidemap once you enter the main entrance. 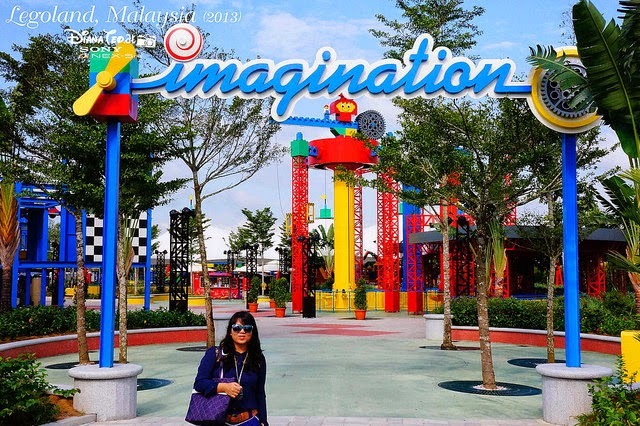 Never underestimate the size of this theme park cause there is high possibility you might get lost. 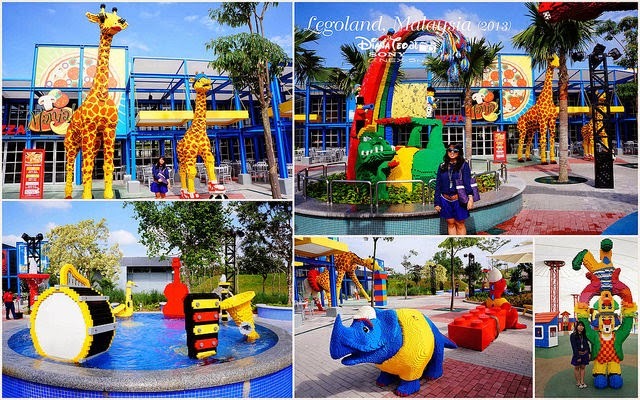 Bring along spare clothes cause some rides might get you wet; such as Dino Island in Land of Adventure, Aquazone Wave Racers in Lego Technic and even Boating School in Lego City. 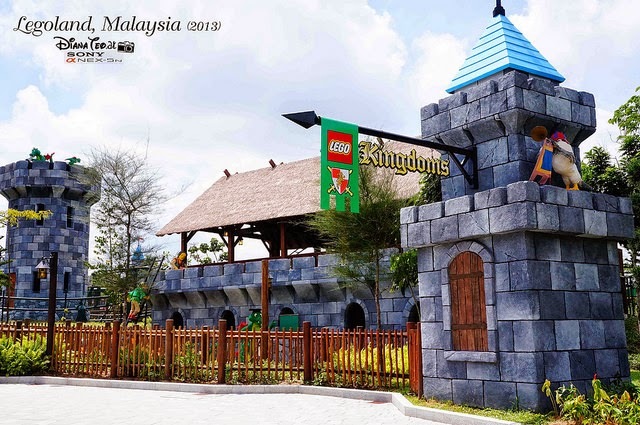 Apply sunblock or even bring cap and umbrella along cause firstly, lack of shaded area within Legoland and secondly, Malaysia's weather is always hot and humid. Luckily, I always brought my umbrella whenever I travel. It's best to arrive early cause besides to avoid the overcrowded, it's also to avoid the unpleasant heat. 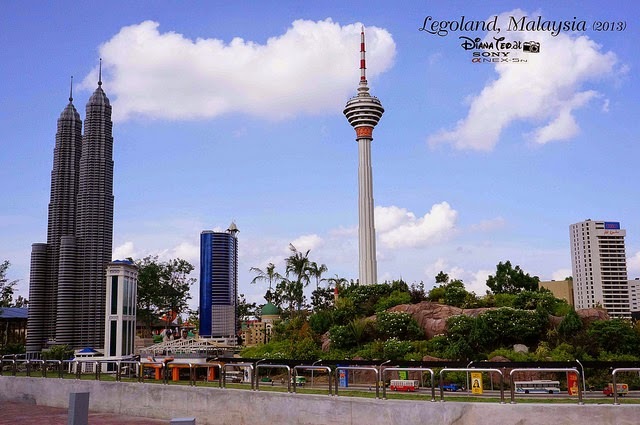 Overall, I think the trip to Legoland is worth for a visit although most of the rides are not that as wild and scary as we thought. 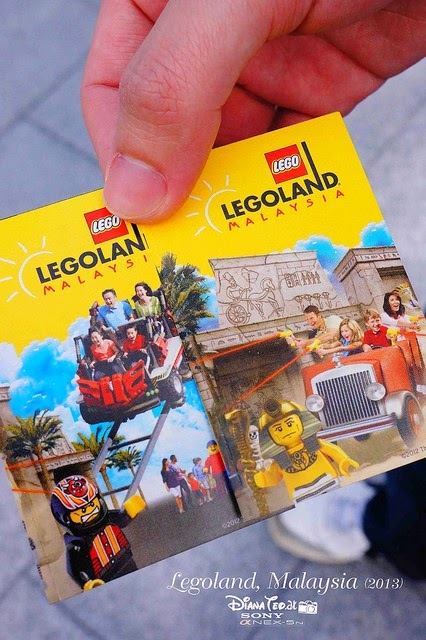 Both Boyfie and I were indeed fully utilised the amout of the entrance fee we paid by spending our whole day there in Legoland; from 9.45 am until 5.00 pm. Furthermore, we managed to experience majority of the rides except for few where we thought they might be kinda childish rides. 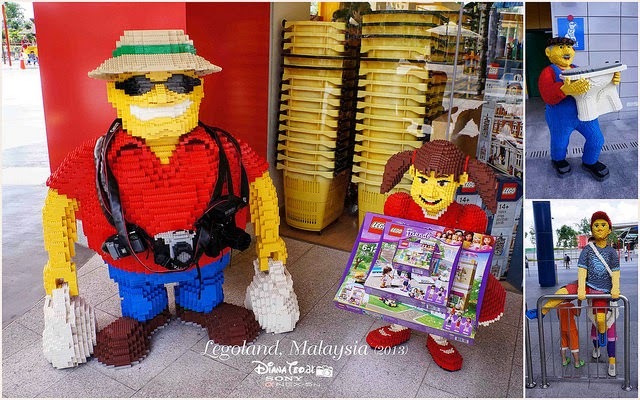 As a theme park lover, I noticed there is no any character mascots or even parade in Legoland Malaysia but they don't bother me anyway cause the life-size characters Lego bricks creation were enough to impress me. 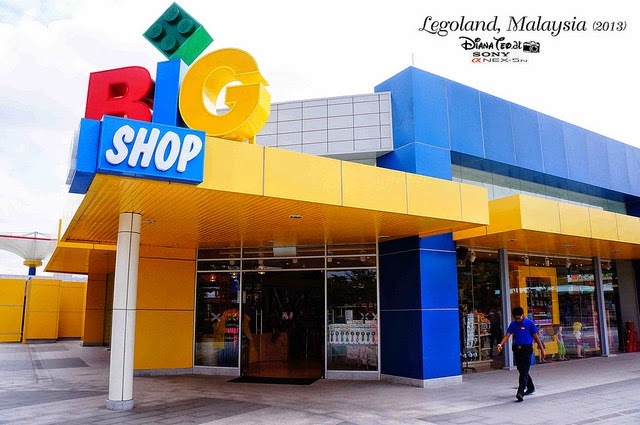 If you have little one and can't make up your mind where to bring them during this school holiday, why not plan your holiday by bringing them to Legoland? Trust me, they will enjoy all the fun and excitement here. For more information especially if you plan to take public bus, check out HERE. 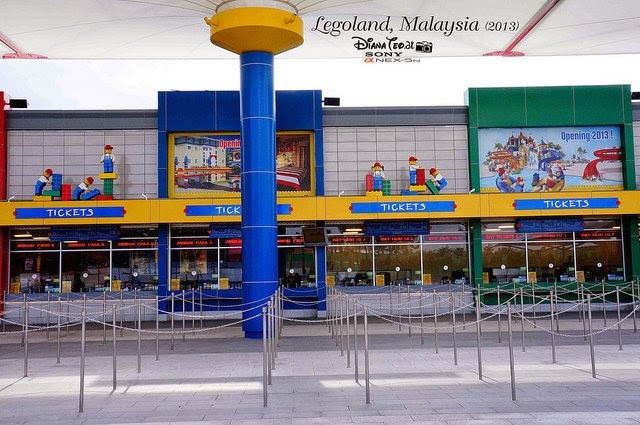 I can't share my previous experience on how my Boyfie and I get to Legoland Malaysia cause I found out the bus number has changed apparently. But from my experience, it is advisable to reach the starting point station as early as you can cause at the late hour, it will be more crowded. 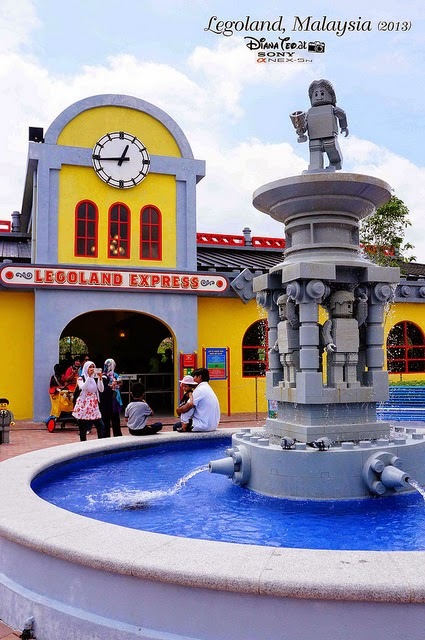 If your station is JB Sentral, it takes about 45 minutes to reach Legoland Malaysia. Wow, that’s really a long and helpful list. i never though about before.